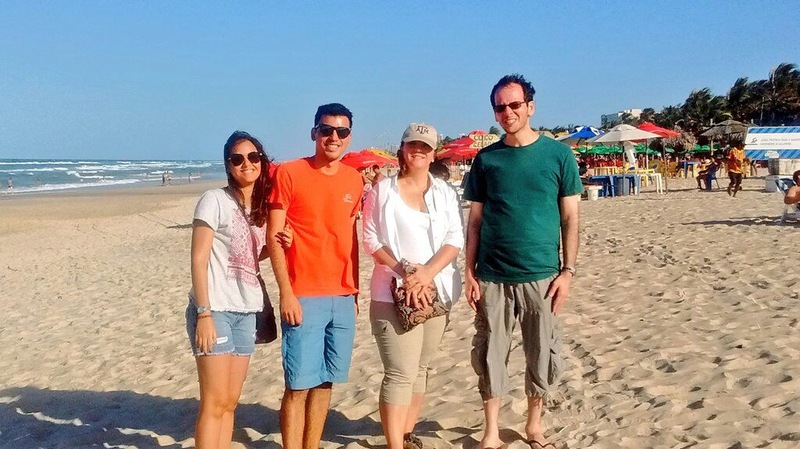 Here are a few photos from my research trip to Ceará. My time there quickly passed by as my colleagues scheduled many activities and meetings almost every day of the trip — including unsuccessful visits to register my visa! Leave that for October. I forgot about the Brazilian bureaucracy — Brazil is not for beginners, but regardless, I am so happy to be back working there. Typical reused container for water transport and storage. ….And more containers (this was used for lubricants). Striking gender division of labor: Women would collect water in the early morning while men waited two hours during the afternoon to fill their containers. In another town, the lines were so long people would hire the local “papudhino” (drunk) to wait in line for them. In some places, others would bring between 10 and 30 containers to fill, and then resell at the periphery of the urban area. This was not allowed officially, but it has lead to implied violence if someone were to stop it. Public taps for well water that was not processed by desalination. County-owned water tanker (“carro-pipa”) filling tank directly from the bare-bones water processing plant. He is on his eight trip to the rural areas to fill cisterns with water. In this town, no “carro-pipa” served the urban residents, only rural. Calamitous drought in the Brazilian Sertão (Backlands) inspired songs, poetry, and oral traditions that infuse culture and society. Migrants leaving the desiccated soil populate the regions cities, driving metropolitan populations since the 1970s. Reading the stories is one thing. Visiting the region, which faces a five-year drought, is an entirely different experience. Dried reservoirs are scattered across the landscape, with many others on the brink of collapse. Small and medium-sized cities struggle to find secure sources of water. Currently organic pollution degrades water drawn from existing sources, which further reduces residents’ confidence in domestic water provision. Drilling groundwater has exploded during the past two years, as a strategy to mitigate the lack of surface water. Some cities provide urban populations with well water, and limited desalinated options, depending on local resources. The micro-politics of water provision confirms the complex strategies among political leaders, technicians, and local communities. Geologic, social differences, and political variables determine location and technological investments in smaller cities. Public taps offer one mechanism for residents to access domestic water. Yet two-hour lines, however self-regulated by water users, do not preclude the informal privatization through water resale. Nor does public provision provide water users with adequate and safe containers to transport water to homes. Reused lubricant and agro-toxics containers, paint buckets, and old two-litre soda bottles are more common than the more expensive 20-litre water bottle. Questions remain as to the quality and capacity of transportation, gender divisions, and impacts of this provisioning system on public health. But without a doubt, there is a daily, grinding struggle for water in towns and cities in Brazil’s Northeast. Fortaleza, which is located on the Atlantic Coast, offers the opportunity to study water insecurity in Latin America. Unlike the mega-cities like Rio, Fortaleza and the smaller urban areas in the Northeast represent the everyday life far from the glow of Olympic glory or global Carnival. The residents, many of whom are immigrants or from immigrant families, escaping the parched interior, known as the Sertão. 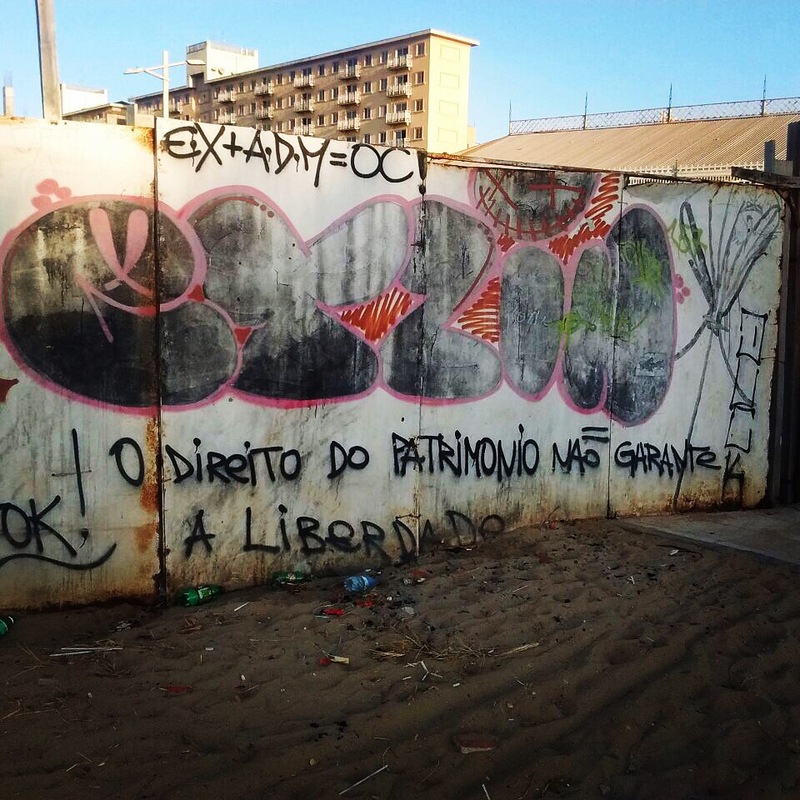 The drought, rather than employment and opportunity, drives many to the city’s bairros and favelas. Poor public services and precarious infrastructure also accompany new forms social action and civic engagement in the most surprising places. I met with students and colleagues at the Universidade Federal do Ceará on the first day, and since then we have been animated by the possibilities of working on different projects, including urban water provision and household water insecurity. 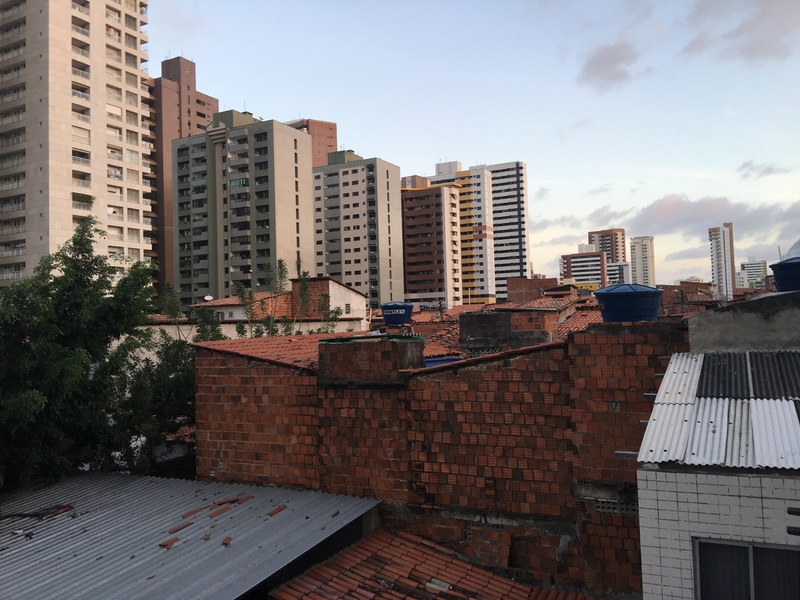 My first goal is to begin the process of identifying communities — this can be tricky as the brute reality of Brazilian cities requires careful consideration of safety. But there are many opportunities and this trip is the first step to identify the case communities. I will have this completed during October’s trip. At that time, I will also provide training in Photovoice, research ethics, and survey implemention to studen research assistants. Next year I will be here on Fulbright Scholarship, and we are already planning the course I will teach and the lectures to prepare for the department at large. My course will be “Justiça Ambiental” with lectures on water security and research methods. I plan to travel across the North and Northeast. In March, I will visit Bragança in Pará to co-advise a PhD student on an urban water security and climate change project. In addition, the social cartography group works with communities in the Sertão on the border with Ceará and Rio Grande do Norte, where concerns about water security have become a priority as new agro-businesses are moving into the region. The Water Security Initiative, started in the College of Geosciences, is now part of the Provost’s Environmental Grand Challenge Program. I am pleased to act as the initiative’s program lead, working alongside partners and colleagues who engage in research on the many dimensions of water security. As a Land Grant institution, we also seek to integrate training and engagement in our portfolio of activities. The Water Security Initiative seeks to provide data-driven, analytically sound assessments of water security using effective metrics and models of water insecurity to improve society’s long-term water challenges. WSI research targets key threats to water security, including poverty, climate change, poor governance and social marginalization, to better understand critical water security challenges in the coming years. Three water security themes unite Texas A&M researchers and other collaborators: (1) household water and sanitation security; (2) water governance & security; (3) water security, resilience, & climate change. The scope of WSI activities is global as we recognize the important advances in water sustainability and policy development that originate in diverse environmental contexts and regions. Consequently, the WSI research portfolio examines water insecurity challenges in both developed and developing regions. Finally, our work advances the goal of sustainable and socially equitable water policy and interventions through the robust evaluation of central water security problems with explicit attention to the development of novel pathways and partnerships to translate research outcomes into meaningful and useful products for stakeholders, communities, and decision makers. Soon we will launch our new website (July 2016) and announce the first of many activities and research activities. Currently we have seven abstracts, and therefore, have room for a few more to fill two sessions. Please submit an abstract to Dr. Wendy Jepson (wjepson@tamu.edu) by 1 Sept 2016. What causes household water insecurity, or the struggle for affordable, accessible and reliable water for a healthy life? Poverty and housing influence the capacities of households to secure drinking water. We have seen in Flint, Detroit, and Washington DC, epic government failures undermine secure drinking water. But what about immigration status? What is the relationship between water insecurity and immigration? My recent paper, written with my former graduate student Emily Vandewalle, argues that among economically distressed populations on the US-Mexico border, family immigration status was the most important predictive factor of drinking water insecurity. What does that mean? Well, we wanted to look at a population that was highly vulnerable to water insecurity and identify what demographic or other factors contributed water insecurity within a similar population. But the most significant predictor of household water insecurity for families living in colonias was mixed-status household, not relative poverty, housing type, or even age profiles. The analysis indicates that “mixed status” households were 4.2 times more likely to be water insecure than households with members who were all documented (legal residents or U.S. citizens). Although households in which all members are unauthorized residents indicate in increased the likelihood (1.2 times) of water insecurity, the results were not statistically insignificant. We suggest that everyday behaviors and choices in response to precarious immigration status might “spill over” into other insecurities, including household water insecurity. Negotiating the immigration regime is defined by avoiding exposure to authorities. Connection to public services might also be a perceived vulnerability and exposure point. Another form of “protection,” confirmed anecdotally in field research, is the reliance or dependency on private water delivery—either trucked or vending machines. This allows individuals to manage chronic problems of water access and quality without directly engaging the water supply corporations or municipal services. While more research is needed, it could be that knock-on effects may include increased costs of water, dependency on unregulated water sources, and increased water distress. Exploring these specific interactions is beyond the scope of this study, but we believe that future research should explore how immigration status might influence interactions with local water governance regimes as a significant factor in water insecurity. The paper and panel line-up for the “Water Security? Critical Geographical Engagements” at the American Association of Geographers (AAG) Annual Meeting in San Francisco covers a range of scholars and topics. Jessica Budds (Water Security Centre, East Anglia), Alex Loftus (King’s College), Vanessa Empinotti (UF do ABC, Brazil), and I co-organized sessions scheduled on Thursday, 3/31/2016, from 1:20 PM – 3:00 PM in Union Square 22, Hilton Hotel, 4th Floor. Water security is a term that has gained significantly in popularity, appealing to a wide range of social and natural scientists who are interested in “securing” water for humans and ecosystems, amid concerns about increasing climatic and political economic pressures on water resources. However, the term tends to be used very loosely, and/or is interpreted very differently across stakeholders, sectors and disciplines. Cook and Bakker (2012) have demonstrated the very different analytical approaches, measurement methods and indices, and scales of analysis proposed to assess water security, while Loftus (2014) argues that many applications of the concept understate or neglect the politics that underpin inequalities in access to water. These sessions will build on critical geographical engagements with “security”, in order to think through water (in)security and its implications both conceptually and empirically. What are the tensions between applied approaches to water security and perspectives from critical human geography? What does “water security” set out to secure, how, and at what scale(s)? What political work does “water security” do, and what agendas does it serve? How do we know what “secure water” is? What epistemologies/methods are used to approach water security, and to what extent do they reinforce, justify, or disrupt existing water governance regimes? What are the synergies and tensions between water security and other similar paradigms that could be broadly seen as seeking to achieve secure water, such as water governance, water justice, and the human right to water? I have two undergraduate research opportunities and one graduate research opportunity for students. Please contact me (wjepson [at] tamu.edu) if you are interested. Send your CV and a statement of interest along with an email that explains your qualifications. I am actively seeking undergraduate researchers for two projects on water security. Computer Science Undergraduate (paid hourly position starting 6/2016) with skills in software applications and mobile application programming. The student will have the requisite programming skills to create a beta version (and revisions) of the a new household water security tool that I am developing. The student will also manage a project website and portal to dissemination the household water security tool to the research community. Undergraduate with GIS Skills (GEOG 481, Fall 2016) with opportunities to shift into hourly work after proof of skills. Students will work on developing a GIS database of small water systems in Texas. I am actively recruiting Graduate Assistant Researcher interested in pursuing a PhD degree in Geography on a topic related to water security in urban Brazil. An ideal student will be conversant in Portuguese and have some international field experience in Brazil. The student will assist in the transcription of the interviews, data management tasks, data processing, field logistics, and project communications. This student will work during the academic year and will be provided the opportunity to travel with me to Brazil on field visits to conduct project research and develop his or her related doctoral project. The GAR position is a 9-month, two-year position that includes fringe, medical, and tuition. Portuguese skills and field experience in Brazil are essential. Contact me if you are interested. Send your CV and a statement of interest along with an email that explains your qualifications. The graduate position will begin in September 2017. Yesterday, I learned that I will be a Fulbright Scholar to Brazil to teach at the Universidade Federal de Ceará – Fortaleza (UFC) and conduct a research project on urban water provisioning and household water security. I am thrilled to work with students and faculty on an exciting project and further deepen our existing institutional and research relations for years to come. Ten years ago, I thought I had left Brazil for the last time. I remember sitting in the Porto Velho airport, waiting for the intense smoke of burning forest to clear so I could take off to Brasília for my connection to Guarulhos. I just completed four weeks of field work, traipsing through the countryside with a backpack GPS outside of Vilhena, measuring land cover and talking with farmers about crop rotation, land contracts, land clearance practices, and soybean production expectations. Data from this trip would become material for one of my last articles on Brazilian agricultural development and the dynamic transformation of Central Brazil’s Cerrado, a topic I studied for over eight years as a graduate student and early career faculty. But I thought my research trip to Rondônia was my last to Brazil. Professional and personal demands precluded further research abroad, and my interests turned toward the pressing social and environmental inequities closer to home and in a community I had first worked with in the early 1990s. I wanted to understand why low-income Mexican-Americans living in peri-urban and rural subdivisions (colonias) in South Texas still struggled for adequate, affordable and reliable drinking water. Today, I study environmental justice, water governance, and household water insecurity. My research, funded by NSF, examines ad-hoc water delivery and inadequate potable water supply for tens of thousands of Mexican-Americans living in colonias. My research addressed a central paradox: Why, despite $1.7 billion invested in water infrastructure, do tens of thousands of people still lack secure drinking water along the Texas-Mexico border? Is water insecurity produced and maintained through existing water governance regimes? If so, how? To answer these questions, I conducted qualitative study of water insecurity, then developed and implemented the first household-scale metric of water security. This research has yielded six publications and has been reported in regional media. Recent institutional collaborations between the Texas A&M University Geography Department and geography faculty at the Universidade Federal de Ceará – Fortaleza (UFC) have opened new, exciting, and unexpected possibilities for me to return to Brazil. The Fulbright program will allow me to build on these emerging connections by deepening the sustainability of our educational and research relationships. The proposed project will provide the necessary institutional and collaborative context to exchange methodologies and research approaches on water resource governance and water security with Brazilian geographers. I may need to brush off my well-worn, dusty copy of Aurelio’s Portuguese-English dictionary, reorient my mental map of Brazil, and set my compass to the Northeast. But as a Fulbright Scholar, I will bring to bear my work on water security to problems of water provision in urban Brazil.